Gorgeous house on Large Lot in desirable Shadow Hills. The open floor plan with a grand entrance makes for a beautifully laid out open floor plan. Large windows allow for tons of light to flow through the house and causes for nice shimmering on the desirable travertine floors which are in the entirety of the house. The large sliders and upstairs balcony in the back show off the dramatic cascading view of the mountains. 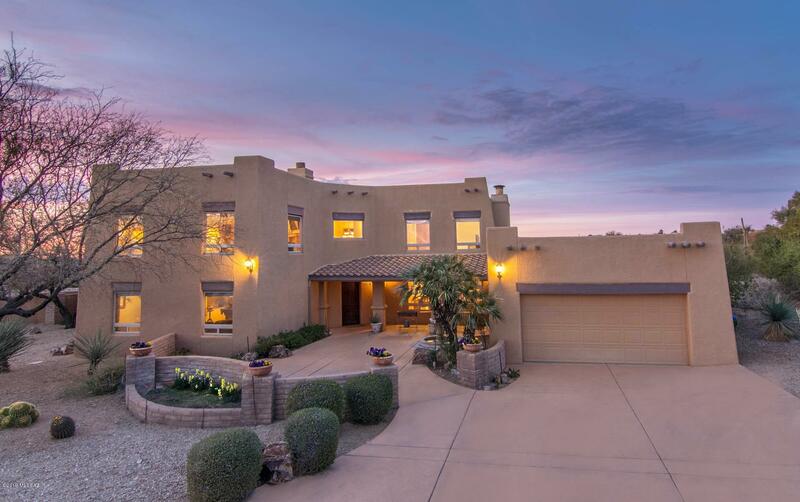 The huge backyard with pool, space for hot tub, gas fire pit, and BBQ grilling area make for a great spacious place to entertain and showcase the beautiful Tucson,AZ sunsets. Directions - N. on 1st Ave. Turn right on E Placita de Arnoldo, Destination on left. The content relating to real estate for sale in this Web site comes in part from the Internet Data eXchange ("IDX") program of MLS of Southern Arizona, MLSSAZ.com. Real estate listings held by brokers other than the website owner are marked with the IDX Logo and detailed information about each listing includes the name of the listing broker. The information provided by this website is for the personal, non-commercial use of consumers and may not be used for any purpose other than to identify prospective properties consumers may be interested in purchasing. Some properties which appear for sale on this website may subsequently have sold or may no longer be available. This content was last updated on 04/20/2019 09:00 All information is subject to change and is supplied by seller and other third parties and should be independently verified. Information is deemed reliable but is not guaranteed.